Last week I said that it was time for one of us to get to some warmer weather and I meant it. Late last night I returned from a 5 day Caribbean cruise where we visited Belize and Cozumel, Mexico. It was quite the adventure! Did you know that Icebergs can 'flip' ? Be sure to read this short article by Jason Hudson explaining this phenomena and these cool (no pun intended) photos from Alex Cornell. If night photography is something you want to learn, then be sure to check out this easy to follow tutorial by Ian Norman to get those awesome shots and how to post process them. Do want to learn how to take better portrait photos? Melinda Smith tells us how to do that in just 10 minutes! If you are interested in doing macro photography, then you will want to read this article from DPS that will help you get started capturing this close up world. Jimmy Mcintyre has put together 8 very useful YouTube videos that will help enhance your post processing techniques. 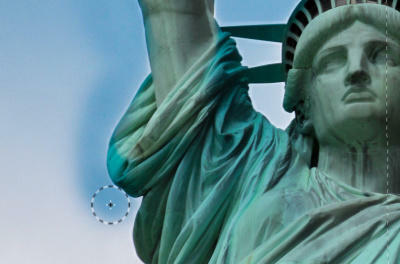 Here is a quick short article by Eric Renno on Adobe gradient filter features and how to use them. A tripod is an important piece of gear for any photographer. Learn why you should be using one and how to get the most out of it by reading the article by Kevin Ames over at Photofocus. 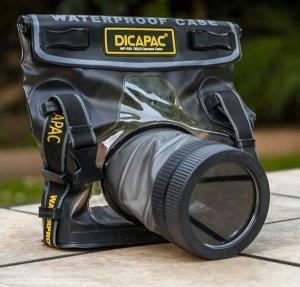 If you want to do some recreational underwater photography with that nice DSLR of yours but don't have a lot of money to spend on waterproof housing, then you will want to read this very thorough review of the Dicapac WP-S10 by Peter West Carey. This GoPro video is indeed insane and brilliantly done. It took reading the accompany article by the folks at FStoppers and watching it the second time to realize just what an awesome job was done putting this video together, not to mention some expert skiing by Candice Thovex. This week's stunning photo comes from Stacy White. Step back in time and check out these photos from WWII that were recovered from undeveloped rolls of film discovered by the people at Rescued Film Project and be sure to watch the video on what goes into recovering the images. Photographer Vincent LaForet leans out of a helicopter at 7500 feet over NYC at night to capture incredible photos.